Kulas Maids Inc. has the experience and expertise to clean your home in a reasonable amount of time at a reasonable price. 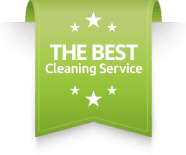 Our house cleaning service has been serving the Chicago North Suburbs since 1983. You can expect a crew of 4 professional maids to enter your home with their own eco-friendly house cleaning supplies and equipment. See the sparkly difference that our house cleaning service can make in your home. Kulas Maids Inc. is an independent, locally owned company. We focus and started our business under the foundation of providing top quality, detail- oriented house cleaning services at a fair price. We use non-toxic green cleaning products that are safe for everyone in your home.